Nigiri sushi is the most challenging and most technical sushi form. It most often consists of a piece of “neta” (sliced fish) atop a long ball of rice seasoned with salt and vinegar called the “shari,” and a pinch of wasabi nestled between them. When judging the quality of a piece of nigiri, there are so many factors to evaluate which is why nigiri is deceptively sophisticated. 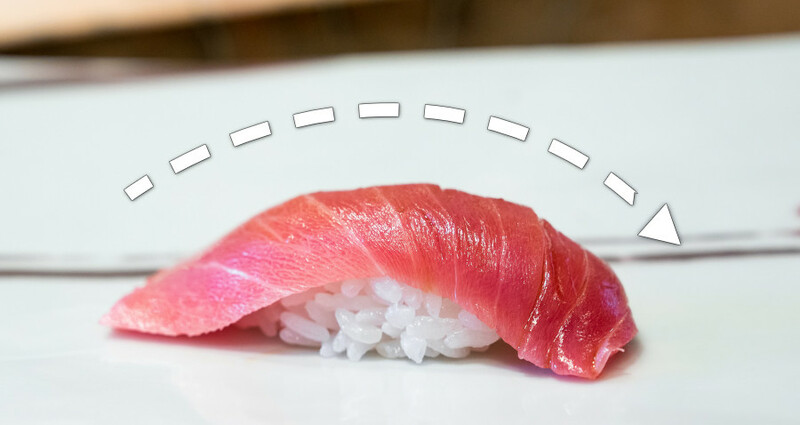 At its core, it’s just fish on rice; but sushi has evolved into a highly technical discipline. Every flavor, texture, and scent must be artfully crafted to create the perfect bite. All sushi rice is seasoned with both rice vinegar and salt. 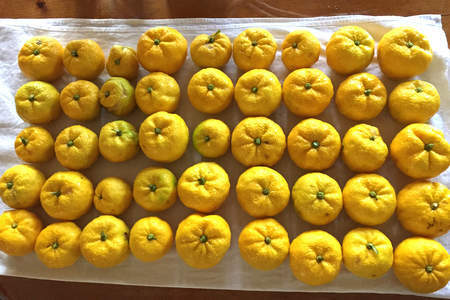 Traditional Edomae sushi uses only these two ingredients, so the quality of the vinegar used is very important. Fine vinegar and cheap vinegar are as noticeable as a fine wine and cheap wine. Modern sushi often incorporates a small amount of sugar to give the rice a little bit of sweetness. 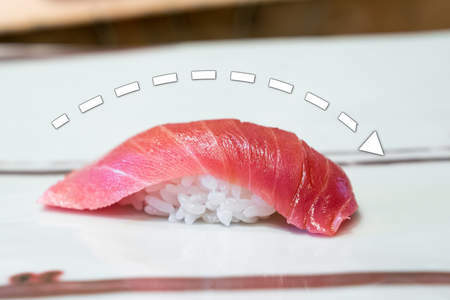 How the rice is cooked also affects the taste by determining the softness and chew of the sushi. Each individual rice granule should be distinguishable from the rest. Over cooked rice will get mushy and begin to fuse together, making it more like the texture of mashed potatoes than proper sushi rice. Rice should also be gently shaped so that the granules barely hold together. Most people are surprised at just how loosely packed the rice is and the difference it makes in the quality of the sushi. Rice that is packed together too densely will leave you chewing and chewing; the taste of the fish blend into the background. But rice that is loose and soft will blend with the texture of the fish so that it all comes together seamlessly. 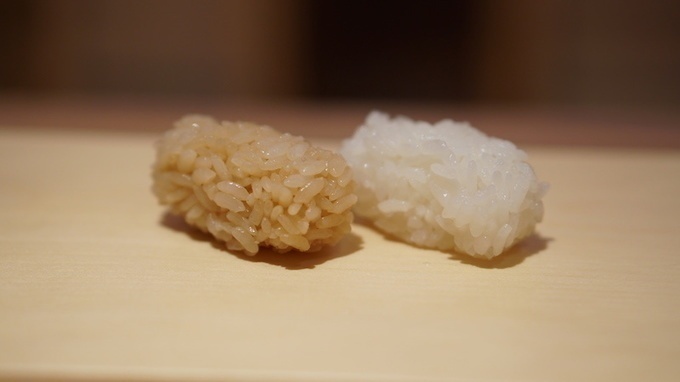 This is why sushi chefs wash their rice repeatedly—ten times or more—before cooking. Every bit of powder and starch that will prevent the rice from sticking to itself can make the granules fall apart. The rice must be sticky so it can be formed as loosely as possible. The fish (or non-fish topping) should not be so thin as to be unnoticeable atop the rice. Nor should it be so thick that it feels like you’re eating sashimi. The chef must slice a meaty but modest slice before shaping it onto the rice. And it cannot be simply placed on top; it must be gently pressed together to form one delicious unit. 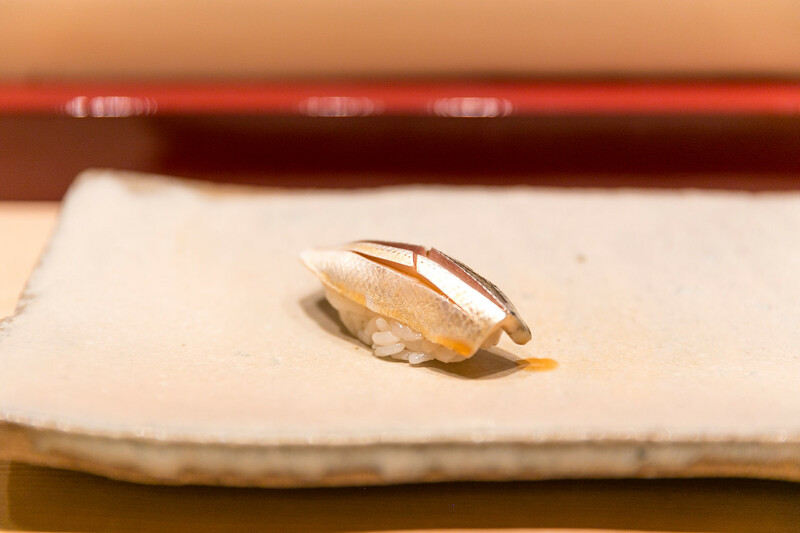 A good chef should use their hands to shape the fish on the rice, producing a smooth curved nigiri. 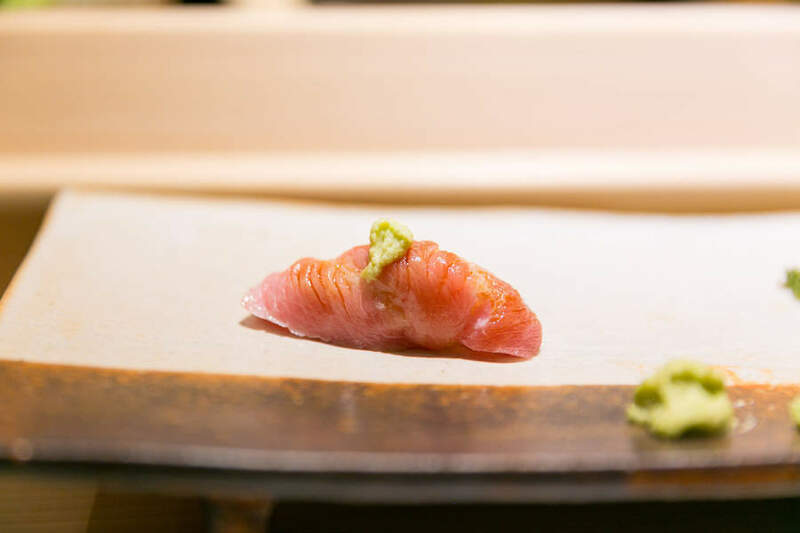 The flesh is often scored on the underside by using the knife to make many small parallel and cross-hatch cuts, which make the sushi much softer and easier to chew. For very chewy neta like squid (ika) it is essential. For softer fish, the more cuts, the more the sushi will melt in your mouth with minimal chewing. Of course the taste of the fish matters too. Some sushi should have a very fresh and clean taste while others should have a very deep and rich umami flavor that comes from aging. 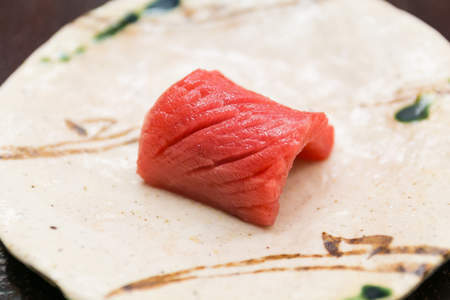 Generally speaking, large fish like tuna (maguro) and flounder (hirame) are aged, small fish like sea bream (tai) are fresh, and shellfish like scallops (hotate) are always served as fresh as possible. Many fish are cured in a mixture of salt and sugar to drive out moisture and concentrate the flavor. Look for the difference in taste across fish the next time you enjoy sushi. Soy sauce is an essential sushi condiment, providing a salty umami flavor. There should always be a very light addition of soy sauce to the fish on nigiri sushi, so the flavors of the fish and the vinegar rice still come through. You should never mix wasabi into the soy sauce as that should come directly from the prepared sushi. When eating sushi or sashimi with the wasabi on the side instead, simply take a bit of wasabi with your chopsticks when you eat the piece. The soy sauce should never touch the rice either. A good sushi chef loosely packs the rice, so any soy sauce will make it fall apart. Rather, only a bit of the fish should be dipped. 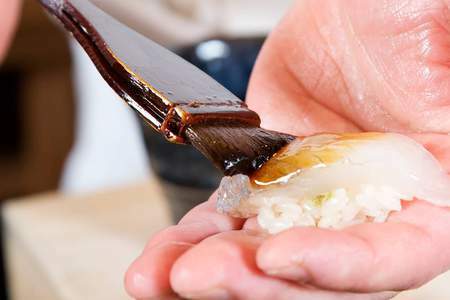 In high quality sushi restaurants, the chef will brush the top of the sushi with thickened soy sauce called nerikiri. In this case, you should place the nigiri directly in your mouth without dipping in any sauce. 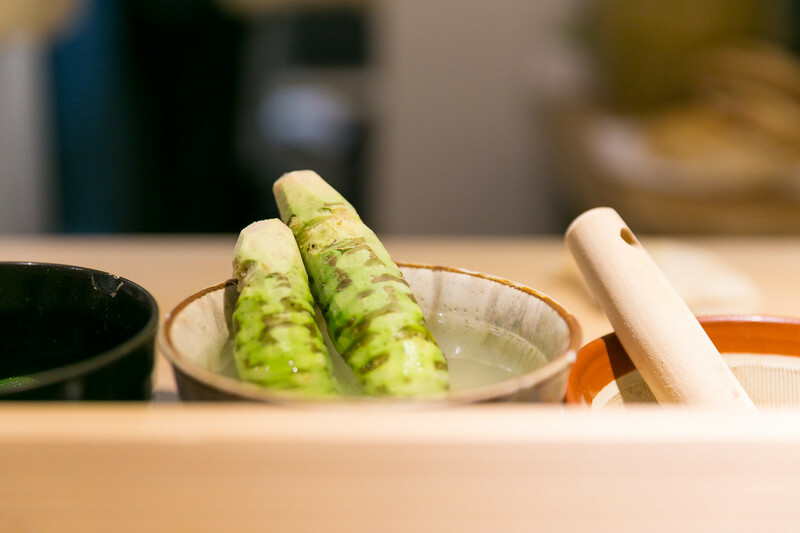 When it comes to sushi, wasabi is not a condiment. It is just as essential to the nigiri as the fish, providing a bright mildly spicy note. Without it, sushi just tastes plain. Powdered and rehydrated wasabi made from Western horseradish is common thanks to its low cost, but nothing beats the flavor of fresh ground wasabi root. 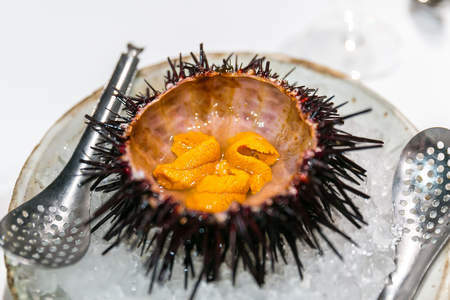 The best sushi-ya will invest in this delicacy for their sushi. Another common mistake novice sushi chefs make is creating nigiri that’s too big. 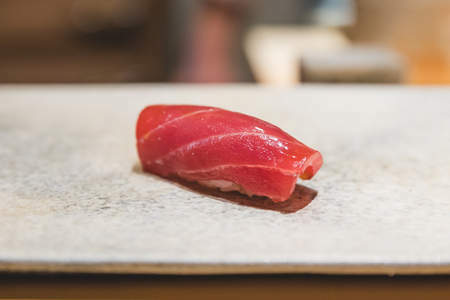 Over a century ago in the early days of Edo, nigiri sushi was made large enough to be several bites as a stand-alone meal. Those days are long gone. Modern sushi is meant to be one bite and no more. The final size often depends on the size of the chef’s hands and this becomes a defining characteristic of their own style. Some chefs tend to create longer and thinner nigiri while others craft shorter and wider pieces. However the result must always be a piece that the customer puts into their mouth at once. This makes eating the sushi a very easy experience for the customer. The most important thing to remember when eating nigiri is that if you enjoy it, it’s good sushi. While the chef can strive to create perfect sushi, their first goal is making the customer happy. 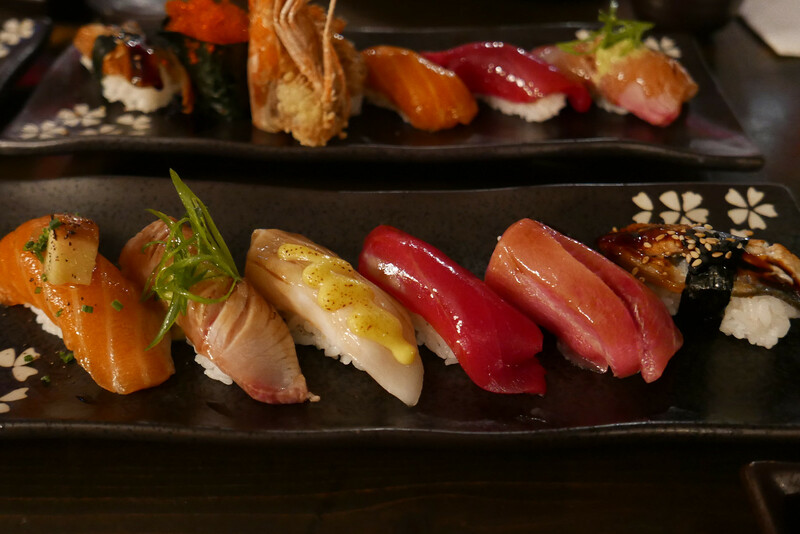 Now armed with your knowledge of nigiri sushi, go enjoy many different styles.